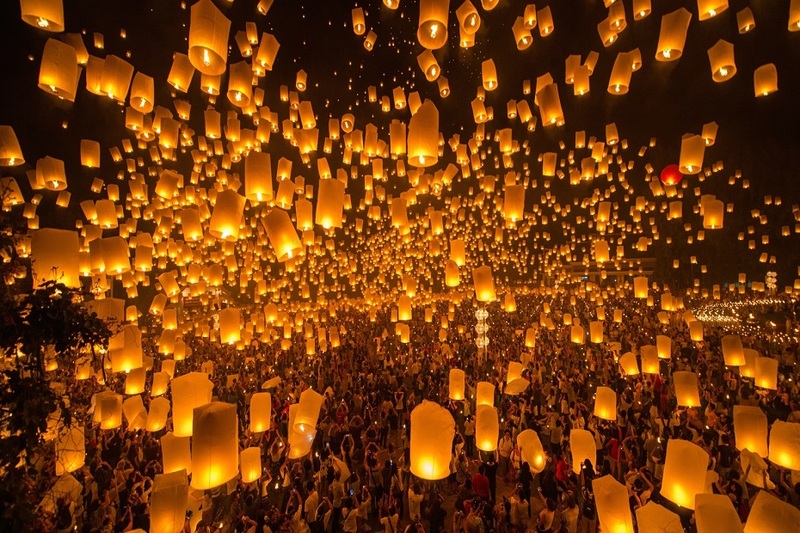 In Chiang Mai, Loy Krathong is preceded by Yee Peng (The Lantern Festival), during which people release floating lanterns into the sky. It is during Yee Peng that you see locals’ homes and public places decked out in colourful hanging lanterns and flag decorations. The word loy (or loi) means to float, whilst krathong are small rafts or baskets. Traditionally made from banana leaves or the bark of a banana tree, the krathongs usually contain a candle, incense and flowers. The person who will be floating the krathong will often take a small clipping of their hair or fingernail which will then be added to the krathong together with some coins. The candle and incense are then lit and a wish is made before the krathong is placed on the nearest stretch of water. It is believed that the krathong carries away bad luck and signals a fresh start. As part of this festival of lights, there are plenty of other activities that happen all over Chiang Mai. These include traditional Thai dance shows, the official ‘Yee Peng Parade’ around the Old City gate and down Tha Phae Road, live music and handicraft sessions. You can also expect lots of food vendors setting up, firecrackers, fireworks, and hordes of tourists with selfie sticks (particularly around the Tha Phae Gate area). Lanterns are released into the sky all over Chiang Mai during the night, but for that spectacular photo the best place to head is Mae Jo University for the big release at 18.30. Do note that you should arrive well in advance of this time to get a good spot. There is also another Yee Peng ceremony especially set up for tourists, held about one week after the actual festival. It involves more mass lantern lighting and spectacular photo opportunities. You might also consider finding a comfortable seat at one of Chiang Mai’s rooftop bars if you would rather watch the incredible spectacle rather than take part. Be part of one of the world’s most ethereal events. 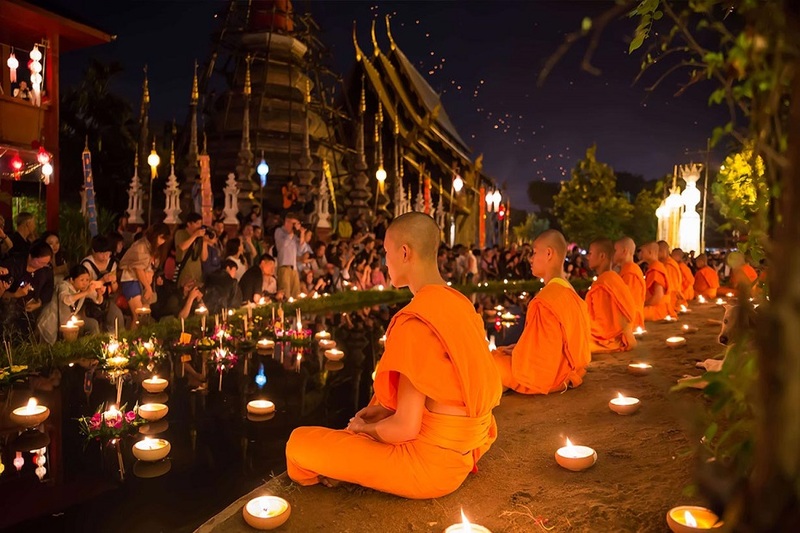 The reverent tone of the lantern release is preceded by vibrant parades, beauty pageants, musical performances, lantern-making contests, fireworks displays and plenty of delicious Thai food.